Stadio Carlo Castellani will host Sunday’s football game between Empoli and Lazio, who have different ambitions for the 2018/2019 Serie A campaign. Empoli are eager to secure the Serie A survival, whilst Lazio, who managed to keep hold of Serbian superstar Sergej Milinkovic-Savic, are eyeing a place in the Champions League. The newcomers have been producing fine performances at the start of the season, with the team collecting four points from possible nine. The Azzurri are tough to beat at home and, no doubt, the Biancocelesti face a difficult task in Sunday’s clash. 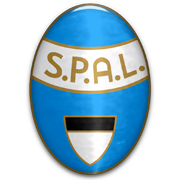 The capital club have been struggling to find their best form at the start of the season and that is probably the main reason why we predict the two teams are going to share the spoils at Stadio Carlo Castellani. It has to be noted that under 2.5 goals were scored in three of their last four meetings in the Italian top flight.